Gallic Chieftain wll have his third run for trainer Archie Alexander in the Chairman’s at Randwick. Gallic Chieftain ticks a lot of the right boxes as he attempts his first win for new trainer Archie Alexander. 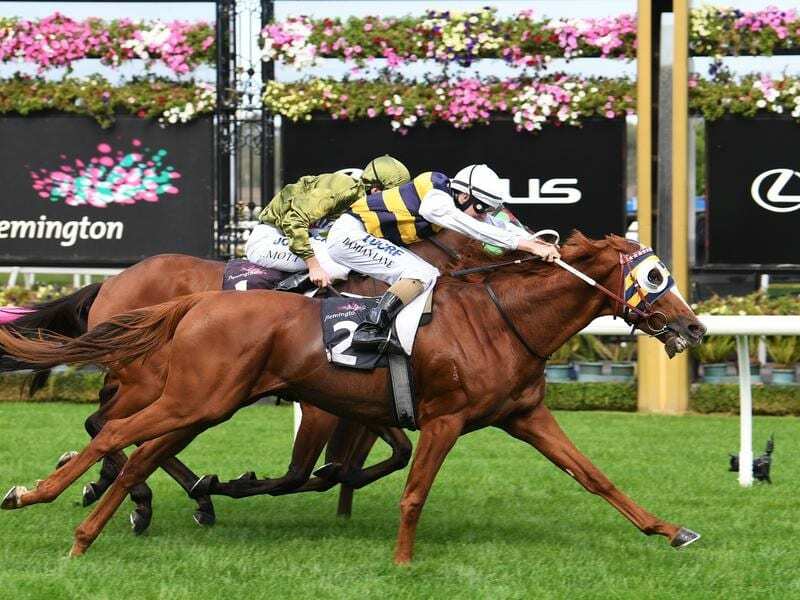 Formerly prepared by Darren Weir, Gallic Chieftain runs for the third time under Alexander’s care in Saturday’s Group Two Chairman’s Quality (2600m) at Randwick. The six-year-old is also an acceptor at Caulfield over 2000m, but barrier one at Randwick has swung Alexander’s attention north. Gallic Chieftain has finished fifth at both starts for Alexander. “I don’t think he’s an outsider, he’s around 13/1, but I think he’s got a good solid chance,” Alexander said. “The Yarra Valley run, even though he ran only fifth, it was OK. He got back and ran on and it probably wasn’t the right track for him. Although Gallic Chieftain is entered for Saturday week’s Sydney Cup, Alexander is not sold on starting the stayer in the Group One race. He said Gallic Chieftain would be going into the race fourth-up and had not received the right preparation for a 3200m-race. “If we won on Saturday and didn’t go (to the Cup), he’s still a Group Two winner,” Alexander said. “If he ran really well, without winning, you’d have to see, but we just think it’s a bit tight, the turnaround. Alexander says he wants to see how Gallic Chieftain performs on Saturday before deciding the next step. Gallic Chieftain could return for another shot at next month’s Warrnambool Cup, a race he defeated Yogi in last year. “Brisbane is a possibility, but we may come back for the Warrnambool Cup, but we’ll get over Saturday first,” he said.